Carpool Karaoke - With Shorty B! • Sing your heart out!! 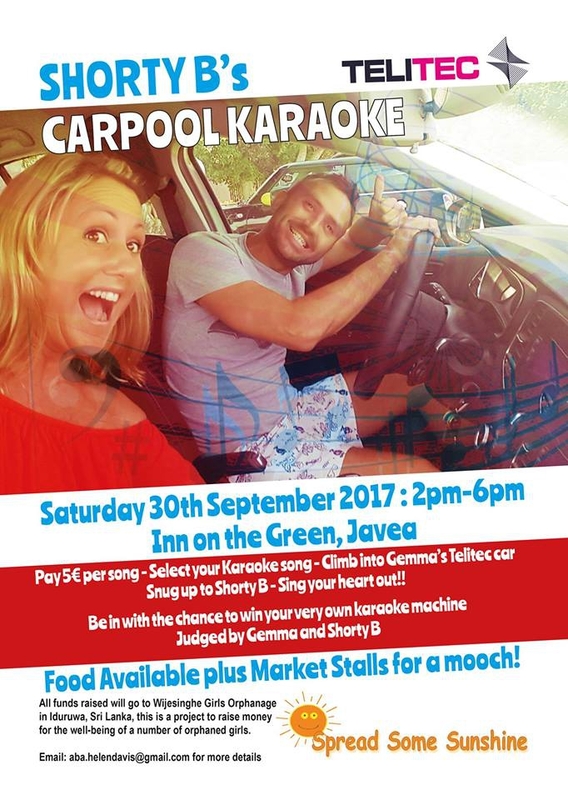 • Be in with the chance to win your very own karaoke machine – judged by Gemma and Shorty B! Food available and stalls to look around! All funds raised will go to Wijesinghe Girls Orphanage – Iduruwa, Sri Lanka, this is a project to raise money for the well-being of a number of orphaned girls.